My husband and I enjoy seafood very much, and we are fortunate to have a great seafood market that has a large selection of fresh fish. Here are some tips that will help you buy the freshest fish available. Check the eyes. The eyes should be clear and bright. If they are cloudy or a dull gray color, the fish is not fresh. Check for an odor. Fresh fish should smell clean with no more than a slight briny smell. If there is an obnoxious odor, move on. Check the gills. They should be bright red. Look at the skin. The skin should be shiny, metallic and clean rather than dull. Fillets should also smell clean. Just like whole fish, if there is a foul odor, the fish is not fresh. Check the skin. It should be shiny and metallic just like it is on a whole fish. If there is any liquid around the fillets, it should be clear rather than milky. 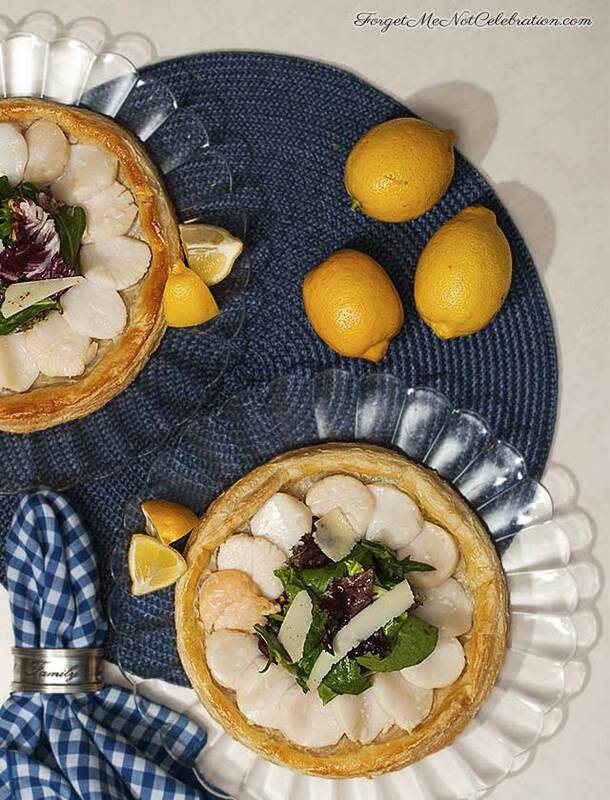 For this scallop tartlet, be sure to buy “dry” scallops. Dry scallops have never been packed in brine. This recipe comes from Kevin Dundon. 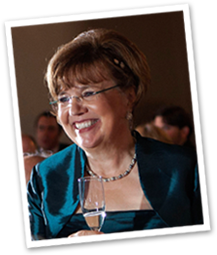 He has a great show called Modern Irish Food on Create, a PBS television production. Baking scallops on top of rich buttery puff pastry is the start of a delicious meal. When you top the tart with a tasty salad, the meal is truly in vogue. For the tartlet ingredients and preparation instructions go here. My version of the salad was made with organic mixed baby greens, shaved Parmesan cheese, fresh blueberries and toasted walnuts. Toss with lemon vinaigrette. 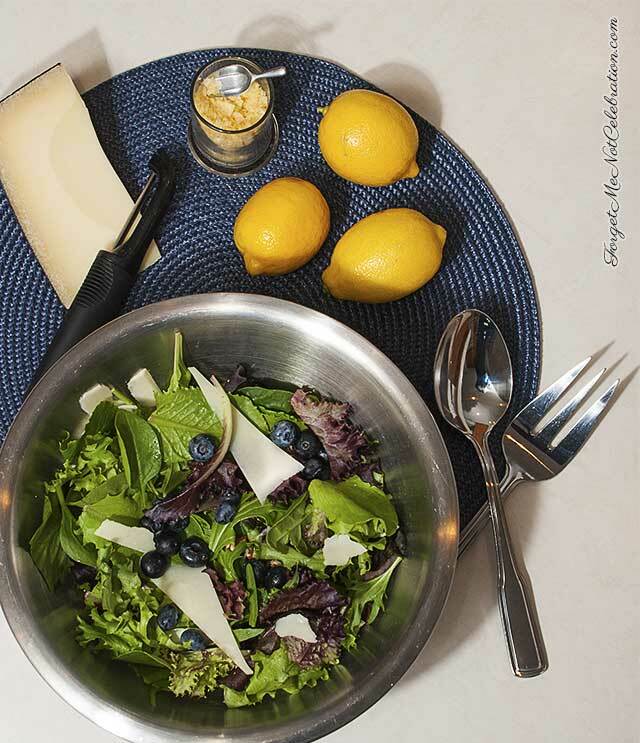 For the lemon vinaigrette, mix 1/8 cup of lemon juice with a teaspoon of grainy mustard. Whisk in 3/8 cup of lemon extra virgin olive oil. Season with salt and pepper to taste.